For the last week of 2014 we were graced with snow and some truly wintery weather. After a gluttonous christmas with a few days to recover the snow graced us with its presence and a hive of activity then insued, long walks in the crisp snow with glorious sunshine. 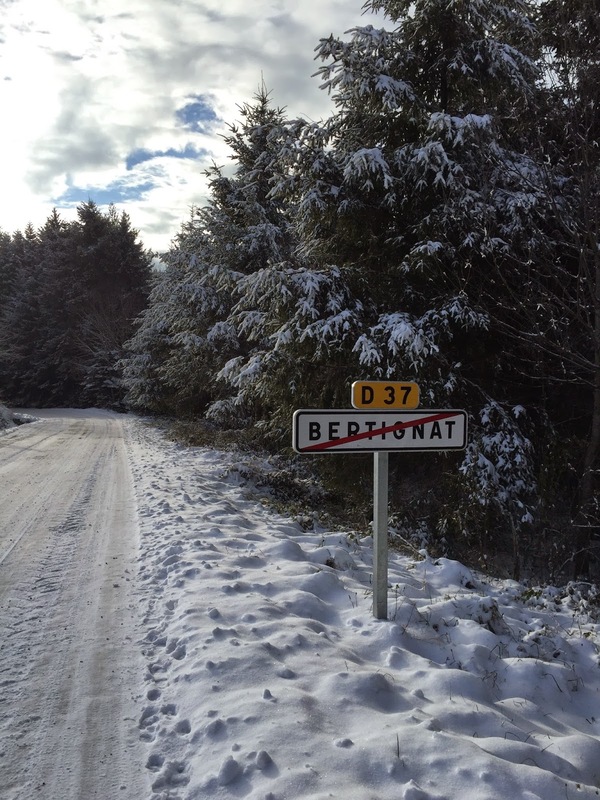 The little village of Bertignat, where my aunt and uncle have a beautiful house is high in the mountains in the Auvergne, surrounded by spectacular pine forests which become ever more beautiful when snow decides to fall. With the afternoon sunlight streaming through the trees it really was breathtaking. Now back to the night before where foodie exictment ended 2014 on a high with some delicous food firsts which made up a typical French affair. We started with Oysters...these are everywhere in the local supermarkets, piled high and brought in from all over the coast. You are supposed to eat your oysters within a week of them being in the sea. Ours were packed up on Christmas Eve, so we figured we would be safe. With a hint of lemon and a shake of tabasco, if you can stomach these creatures they are nice, although I will need a few more tasters before I will be ordering them in public! After a decadent starter, an even more decadent second course... Seared Fois Gras with Caramlised Apples on lightly browned brioche. This was a recipe my Aunt and Uncle had one year when they were in Canada, paired with the tips given by Mimi Thorrison in her new cookbook that I got for Christmas we cooked up a storm. We picked up our fresh brioche from the village bakery, if you don't have a little french patisserie on your doorstep as we were lucky enough to have, you can buy brioche from any supermarket, or bakers. Slice it up and place evenly on a baking sheet. 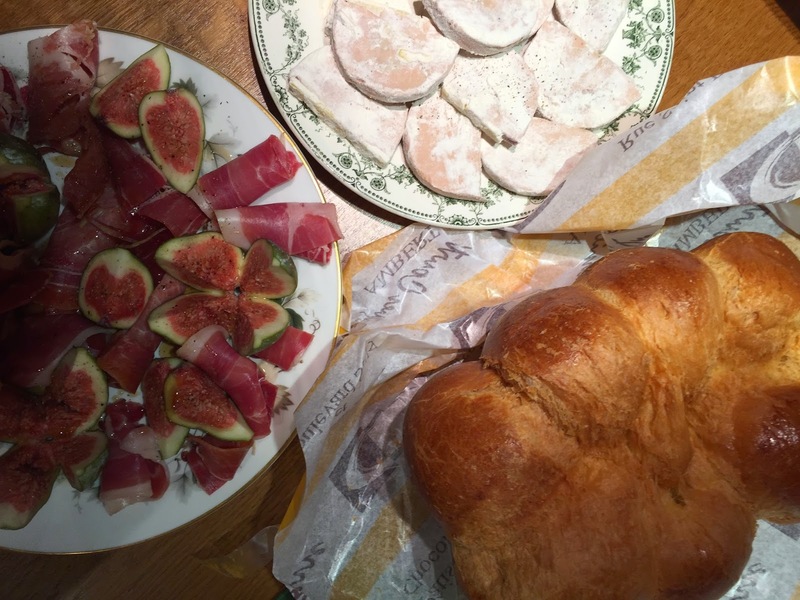 Next prep your fois gras, slice it up into 1cm slices and coat in flour and salt and pepper. Place everything to one side and get to work making your sticky apple compote to accompany. Chop your apples (about an apple per person will do) and place in a pan with 100g butter and 2/3 cup sugar. Let the mix become sticky and caramelised, this takes about half an hour. 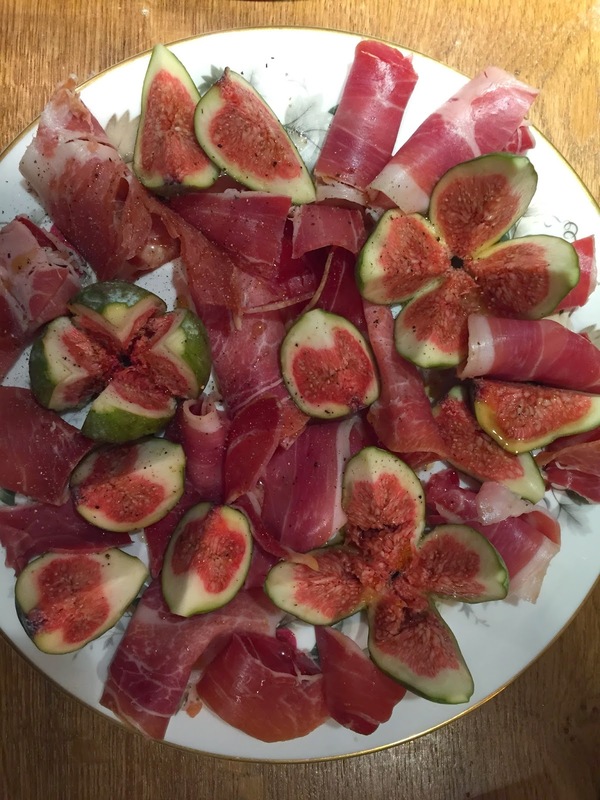 While you wait prepare some side dishes, we went for some figs wrapped in some local charcuterie and drizzled with maple syrup. 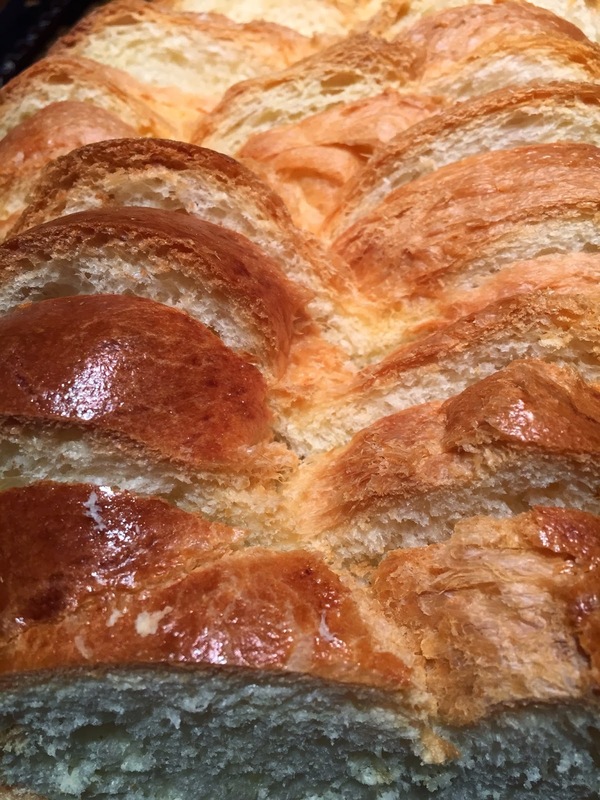 Also place your brioche under the grill for about a minute, watch this carefully as it will turn at any moment. Once your pan is hot place the fois gras into the pan and sear for 30 seconds each side. 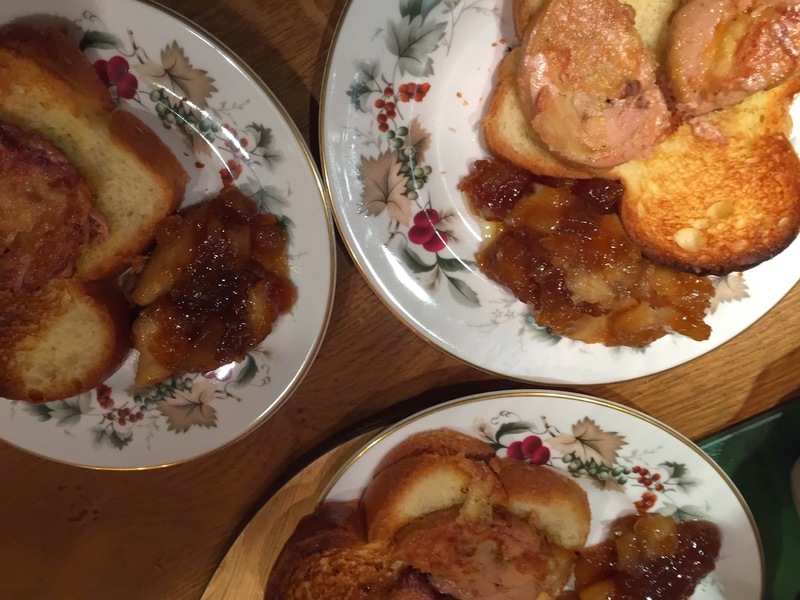 Once seared place onto your toasted brioche and serve with your sticky apple compote. For pudding we kept very traditional and went for a Galette. A puff pastry tart with a delcious creamy almond filling. There is a hidden figure inside and whoever finds it gets to wear the crown! A wonderful end to the year and a beautiful start to the next.